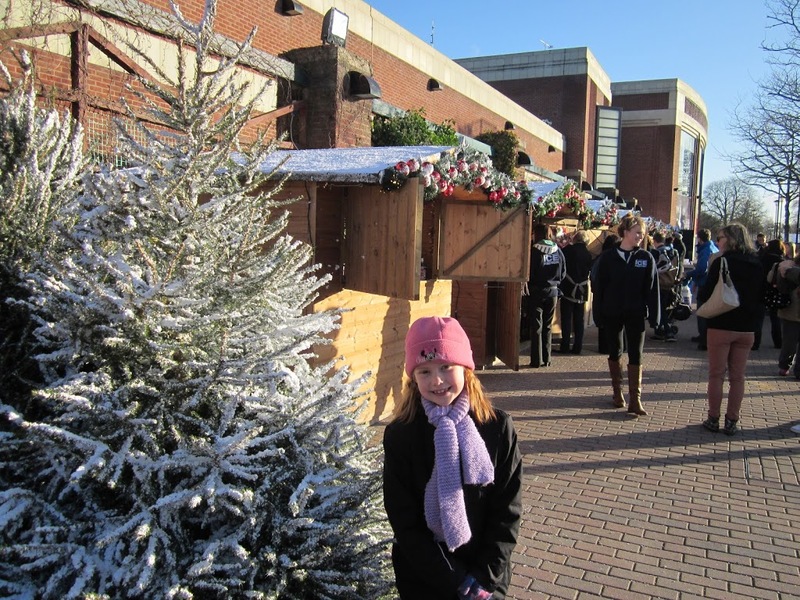 On a surprisingly sunny, but cold Sunday, we had a trip up to York to visit the Winter Wonderland at the McArthur Glen designer outlet. I (I mean my 8-year-old) was determined to try out the outdoor ice rink. We had a little pootle round the shops in the main mall. These include many designer clothes shops as well as our favourites – Hamleys Outlet, Cadbury Factory Shop and The Works. 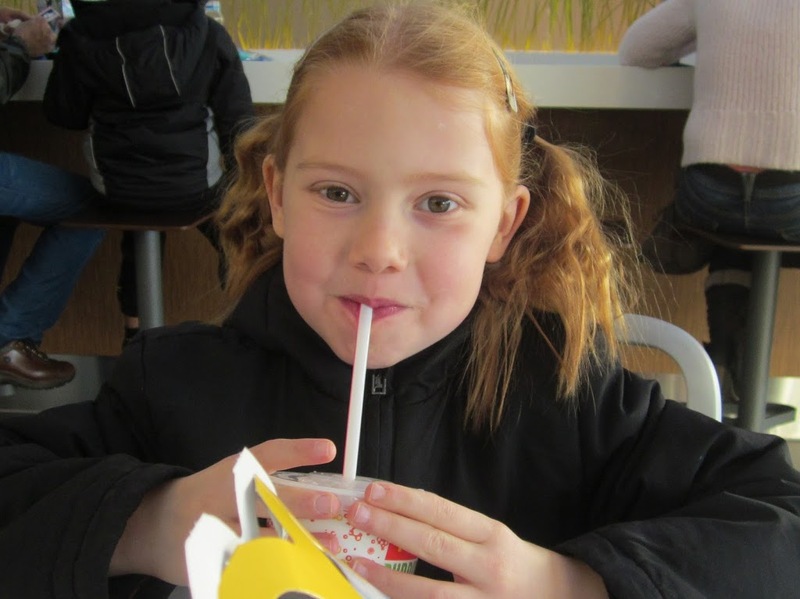 We grabbed a spot of lunch at the McDonalds in the first floor food court (other good food outlets are available), and did a quick pit-stop before going back out in to the cold. 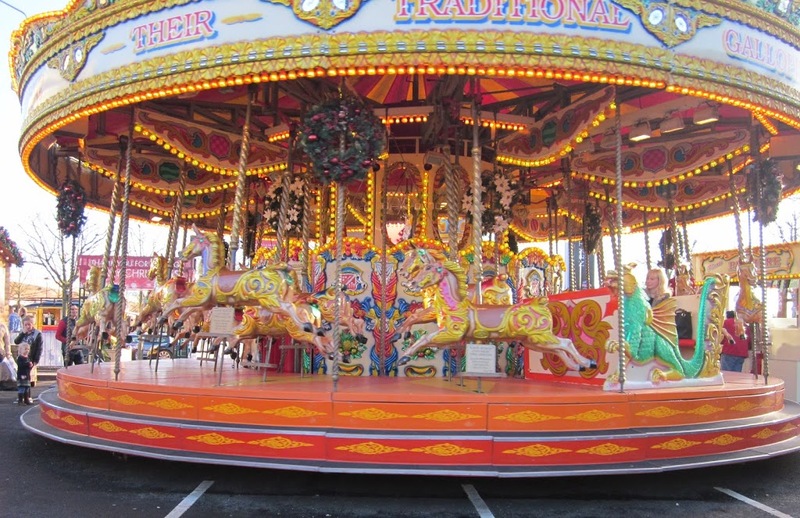 The Winter Wonderland consists of craft stalls and children’s Christmas displays, a Santa’s Grotto, and a funfair (pay per ride with tokens you buy from the booth). 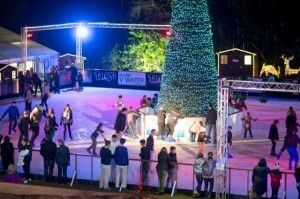 The main attraction is The Ice Factor – an outdoor ice-rink. 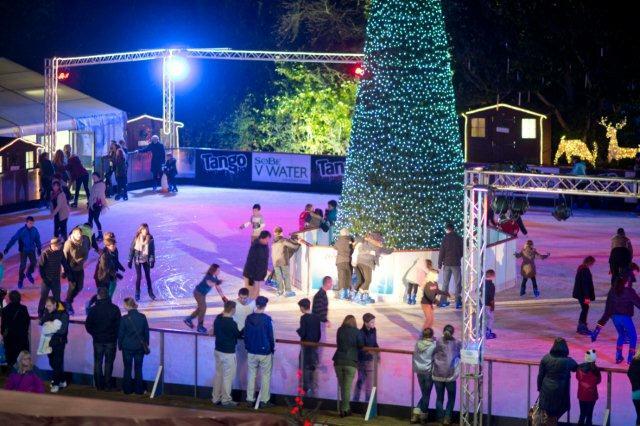 Yes, you can probably get cheaper ice-skating at your local municipal ice-rink, but at Christmas, you can’t beat skating round a Christmas tree to Slade and Mariah Carey in the open air. The sessions are timed and last for an hour each. First you buy your wristband from the booth, and drop off your bags (£1 per bag). You can’t take your bags on to the ice, or your cameras/mobile devices, so you need to leave them here if you haven’t got anyone with you to do the bag carrying. You do this before you collect your skates. 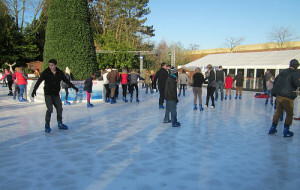 Then it’s on to the main tent where you collect your skates – get your shoes off ready. Allow a few minutes for this as it’s very busy. Then a little excitement while you wait for the session to start, the doors are opened and you’re off! 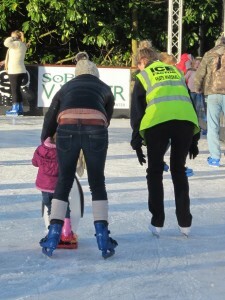 The rink is marshalled, so if you or your younger ones get in to bother, there is someone there to scrape you up and offer skating technique advice. 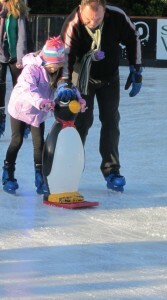 For smaller skaters, you can hire a penguin (for £2). These help with stability. I counted about 8 of them on the go on our session and am sure I saw plenty left. You have to pre-pay for them at the booth. You can’t take your own cameras on to the rink (incase of damage or injury) but there is an official rink photographer. The photos are not too much of a rip-off either. We got an A5 print for £5. (The poor picture quality below is due to my IT ineptness and not the photographer!). Grab him while you can as he won’t take pics without being asked. 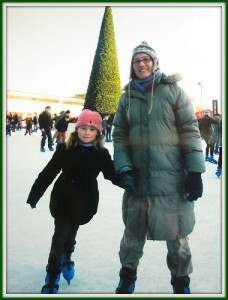 Our hour on the rink was good fun, and I only had to pick the 8-year-old about twenty times, which was ok, I thought. She was about the smallest one skating unaided, and you could see her confidence increasing by the lap. She wasn’t very impressed when a trio of teenage girls landed on top of her, but we got out with all limbs intact. 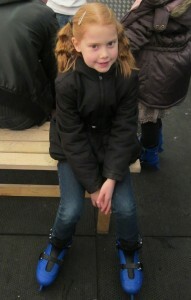 I really enjoyed the ice-skating. It’s years since I’ve been and I came back refreshed, and more importantly, bruise-free! I have to say that the staff were very efficient and did boot-changeovers as efficiently as possible, and that the rink marshalls were very good. 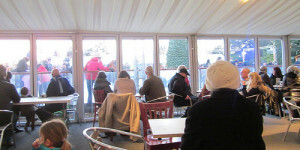 If any of this sounds about as appealing as sticking your head in your freezer for an hour, then why not let your children and the other half have all the fun while you watch from the warmth and comfort of the coffee marquee? 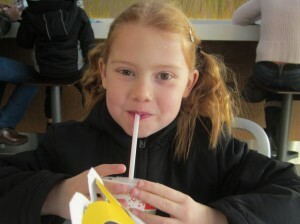 I have to say the hot chocolate and choc chip cookies are very nice. 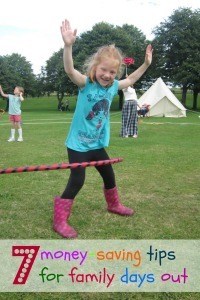 Tickets are priced up to £9.75 with reductions for children, students and others. Please see this website for more details. 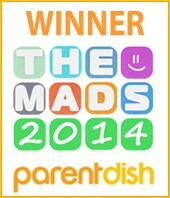 There is also a mid-week parent and toddler deal available. 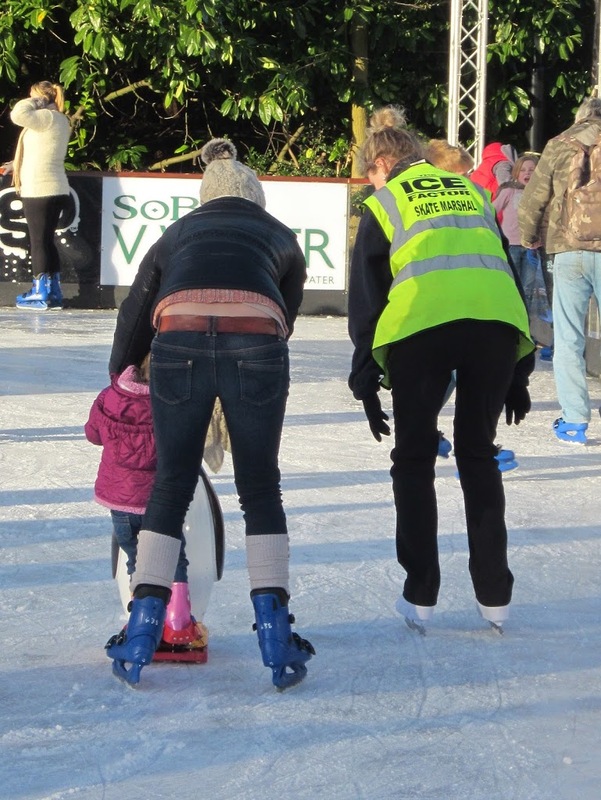 The Ice Factor is open until the 6th January 2013, from 9.30am to 9.15pm, except Christmas Day. Free car parking. The centre operates as a park and ride in to York city centre. Baby changing facilities are available in the main mall. 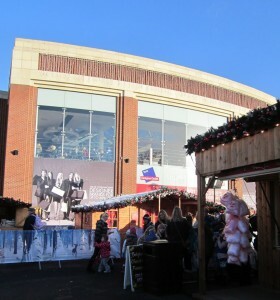 McArthur Glen is located just off the A64 York ring road (south). Follow the brown ‘designer outlet’ signs. 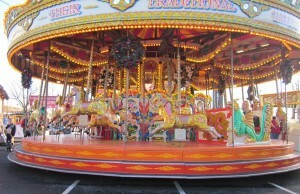 For more information you can visit their website or the one for McArthur Glen. Disclosure – we were given free skating to do the review. Opinion is all our own. Oh, I love ice skating. I used to be great at when younger. Then didn’t do it for years until I had kids and decided to take them. Oh no wish I hadn’t seen this! Trying to save some pennies but this looks so tempting. We love going to McArthur Glen anyway but this looks so fun! 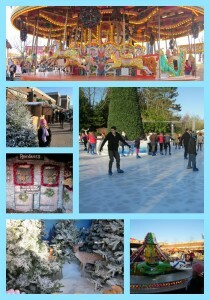 It was pretty good and something that has to be done at Christmas. I know some blogs are running giveaways at the moment for family passes – maybe you can be lucky in one of these!